The 25th American state – Arkansas. 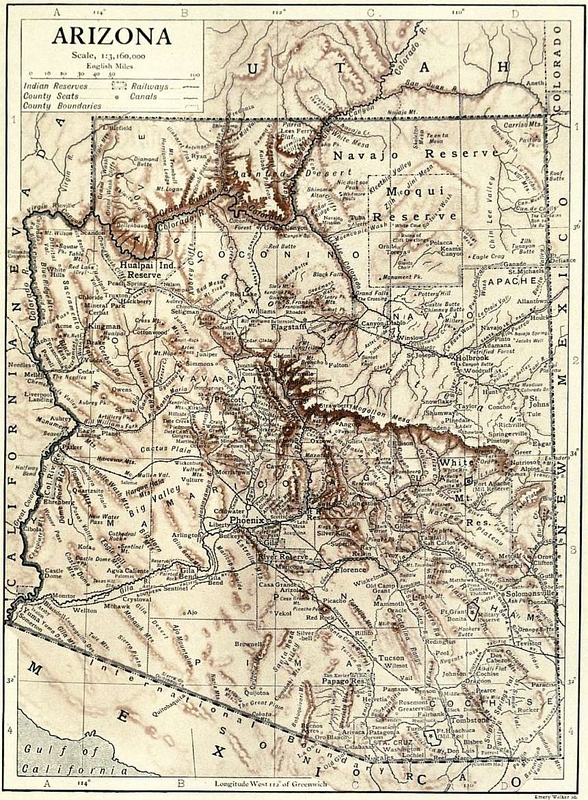 The boundaries are pretty much the same as they were on this 1910 vintage Arkansas map. Napoleon Bonaparte sold French Louisiana to the US in 1803, which included what would become the state of Arkansas. It is an absolutely beautiful state with many, preserved natural areas. Sadly, a great deal of American blood has been shed within it’s borders – from the American Revolution to the Civil War and the Brooks-Baxter War in 1874 over disputed election results. The population in Arkansas today is around 2.9 million; it was only 204,354 in 1910. 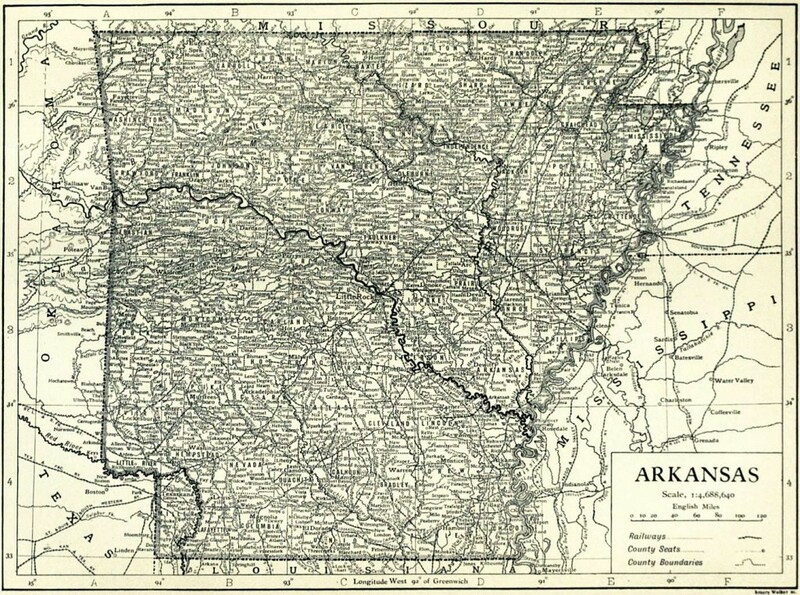 As shown in this vintage Arkansas map, the state is bordered by Missouri, Tennessee, Mississippi, Louisiana, Texas and Oklahoma. To see and download a larger version, simply click on the map image below.